If you’ve read any part of this blog, you probably know that I’m very concerned about the rapid creep of our security establishment’s interests into our daily lives. It’s one of those curious topics that transcends the traditional distinction between Left and Right politics. In the horrible days of the Bush II junta, the prospect of a governmental interest in the goings on of our personal lives was horrific to those of us opposed to extreme Right wing views, which are often well correlated with global militaristic and commercial empire building. With the departure of Bush and the rise of Obama, it seems the perspective has shifted, with apologists for the State’s security abuses being most vocal from the Left wing. Witness the persecution of Edward Snowden and (formerly Bradley) Manning. I’m uncomfortably proud of not having wavered on my position, despite changes in government. As a society we were well warned –by Orwell, Chomsky, Benjamin Franklin and others– of the dangers of the State’s disingenuous interests in security, which are ultimately more about power than about safety. I used to live in Washington, DC, during the opening days of the War on Terror. Those were fascinating times to be within the heart of the Hegemon. It was mesmerizing: imperialism masquerading as patriotism, racism sold as nationalism, and commercialism portrayed as security. It was Orwell come to life, horrifyingly so. So the question inevitably arises within my paranoid brain: has anyone of dubious power noticed me? Am I on a watch list somewhere? 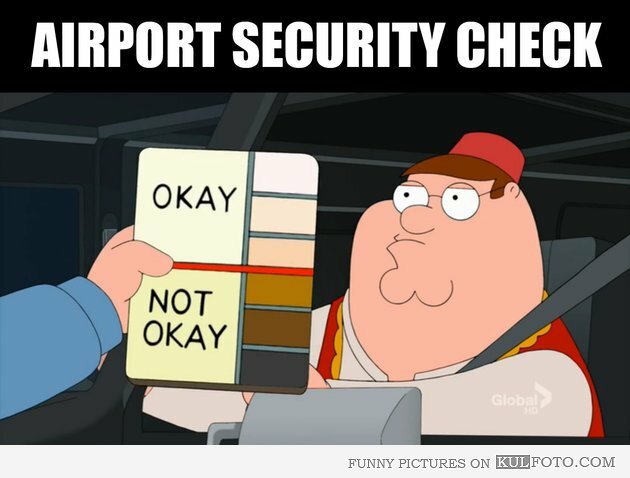 Without a doubt, I get more than my fair share of “random” security checks at the airport. Seems reasonable that there’s a bookmark in my file in whatever security agency cares about such things. I’m the wrong colour, born abroad, and am vocal (though decidedly pacifistic, I hasten to add) about my discontentment with Western governments’ foreign and domestic security policies. On the other hand, I’m a big nobody who really doesn’t know as much about the world as he thinks. There are thousands like me. We’re called “professors”. So how to find out? How to discover if there are any files on me within American security establishment offices? Well, this article on the DailyKos suggests that FOI (Freedom of Information) requests can reveal if indeed these publicly funded agencies have any information on you. One can argue that its a tad naive, that any agency willing to bend/break the laws in the interests of so-called national security is also not above bending/breaking the FOI laws, as well. But what the Hell. I sent in my FOI requests. And guess what? No one cares about anything I’m saying or doing. And no, I am not offended in the least!